Details of this picture have been kindly provided by Mr Philip King in the comment to this page. 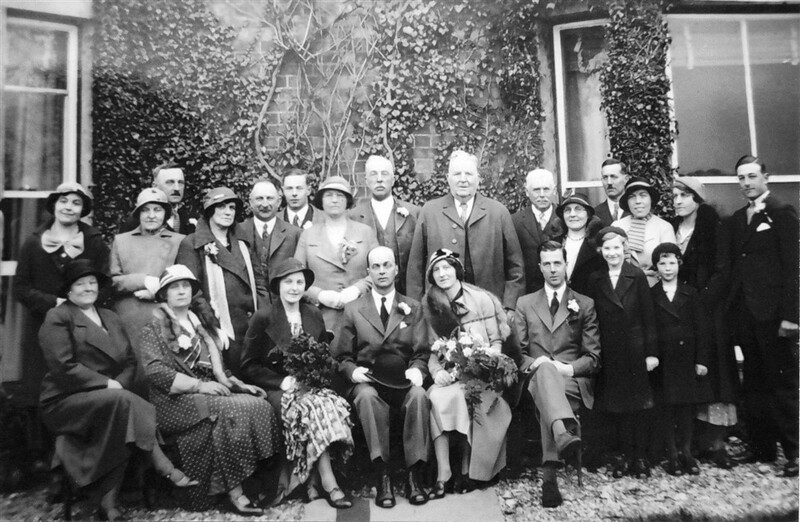 I am very sure this shows the bride as May Marsh (nee Brackenbury) holding the white flowers sitting next to Mr George Marsh on the day of their wedding in the early 1930s. Alec Marsh (George’s brother) is sitting immediately to the right of May Marsh as you look at the picture. May and George were my grandparents, and Alec and their other brother Philip (who I think is also shown here, of course) were my great uncles. I am Philip King, son of June King (nee Marsh) living now in Eastry, Kent. Thank you Cousin Angela for posting these photos. Lovely to see.